Hanukkah, the Jewish Festival of Lights, starts on Dec. 12 this year. Like any good Jewish holiday — barring Yom Kippur — it’s all about the food on Hanukkah. It’s the perfect time to throw a festive dinner party for friends or family — who can say no brisket and latkes? If you’re not familiar with Hanukkah, here’s what you need to know: The holiday commemorates the defeat of the ancient Greeks by the rebel Jewish Maccabees in around 200 BCE. After their victory, they wanted to rededicate the Jewish temple that had been damaged by the Greeks and relight the Menorah but only had enough oil for one day. That oil miraculously lasted for eight days, hence the length of the holiday and the tradition to eat fried foods (yes!). With deep-frying a major tenet of the holiday, Hanukkah is a fan favorite and the perfect opportunity to invite your friends over and cook (or fry) a fabulous dinner. I’m talking latkes, of course, brisket, sufganiyot (Israeli jelly-filled doughnuts), homemade applesauce, matzah ball soup and more. 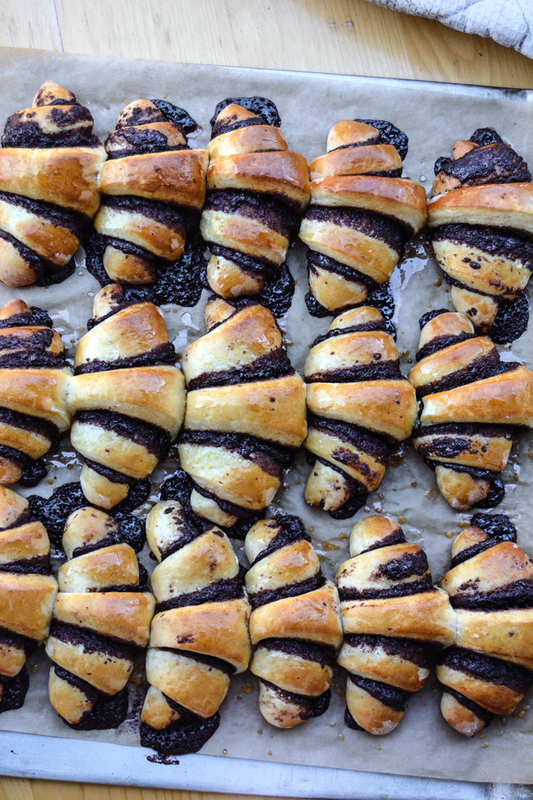 Any of these 12 dishes would be the perfect addition to your Hanukkah party this year. A version of this story was originally published December 2017. 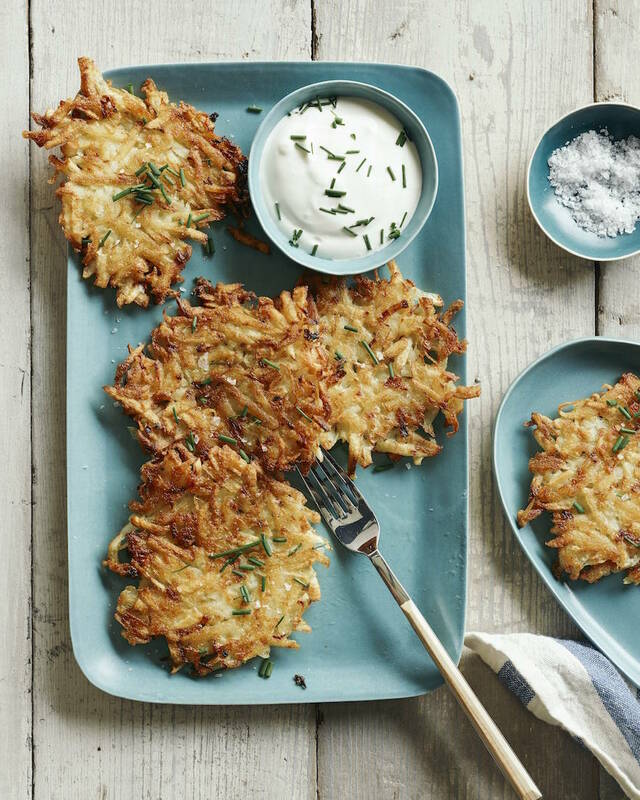 If you make just one thing this Hanukkah, let it be these crispy potato latkes. Keep latkes warm in a 200 degree F oven before your guests arrive. 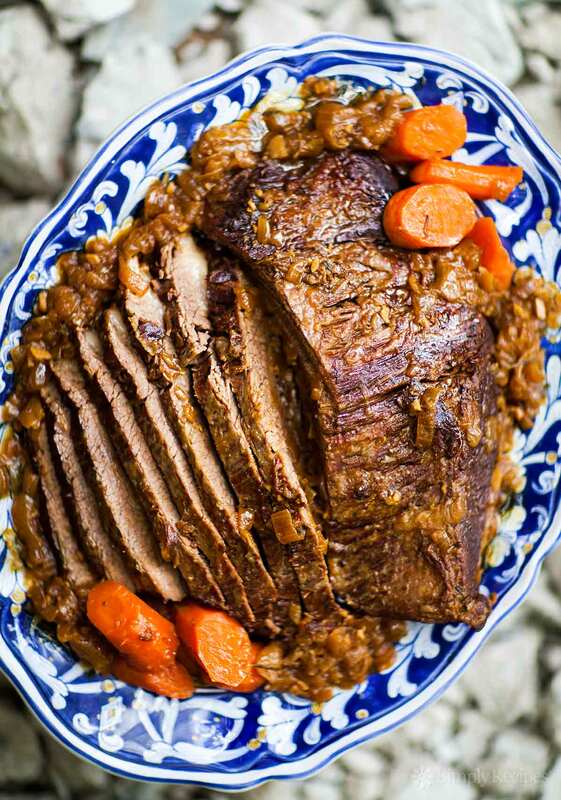 You can’t go wrong with a classic brisket. This one is made with onions, garlic, thyme and carrots. It’s comfort food at its best, and your guests will love it. Image: Apt. 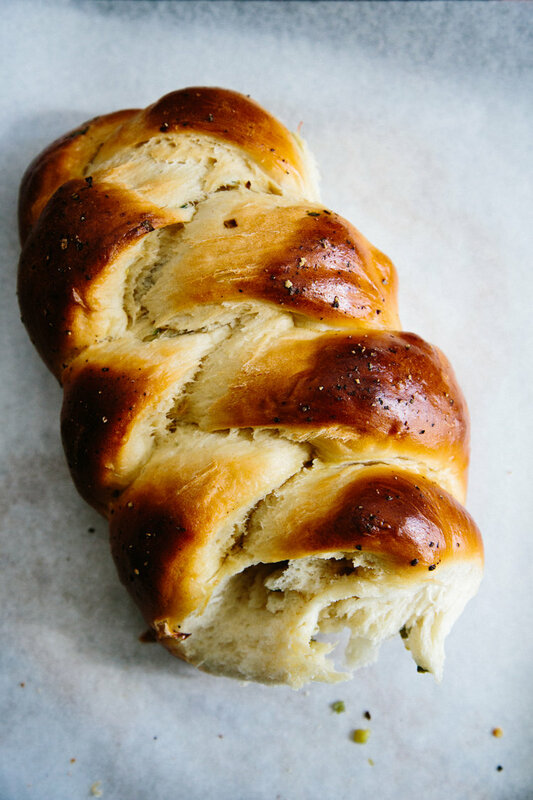 2B Baking Co.
Soak up all that delicious brisket gravy with this scallion pancake challah. Sufganiyot are a huge deal in Israel. Each year, bakeries across the country go nuts with exotic flavors and fillings. 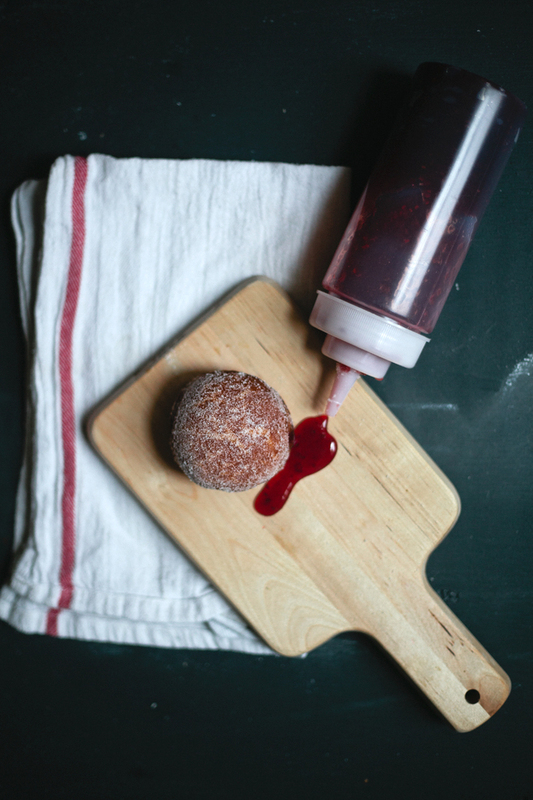 These deep-fried jelly-filled treats will satisfy your Hanukkah doughnut craving. It’s not Hanukkah without the latkes. 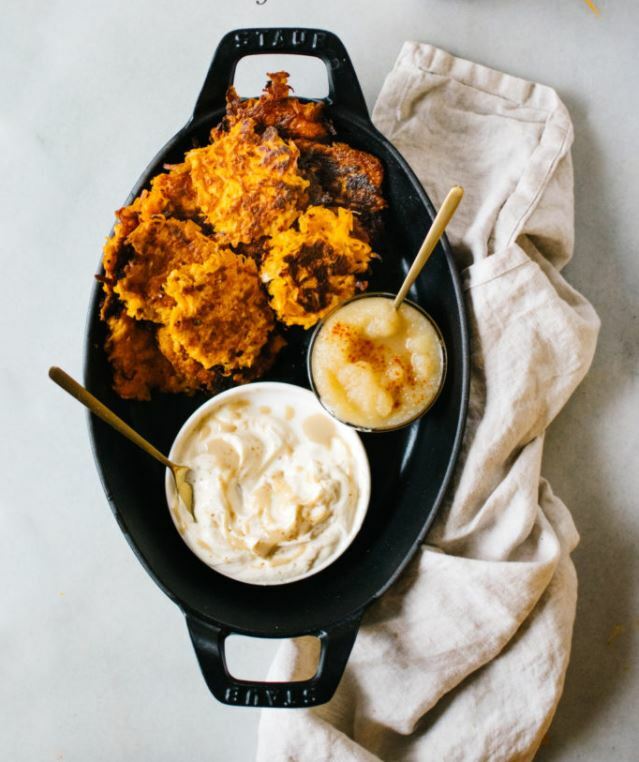 If you’re feeling experimental, try these butternut squash latkes served with a creamy tahini crème fraîche. 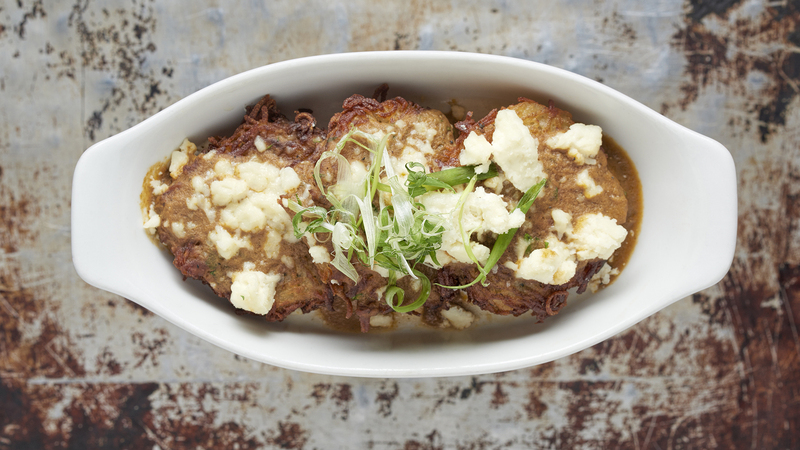 Latkes and applesauce are a match made in heaven, unless of course you’re #TeamSourCream. 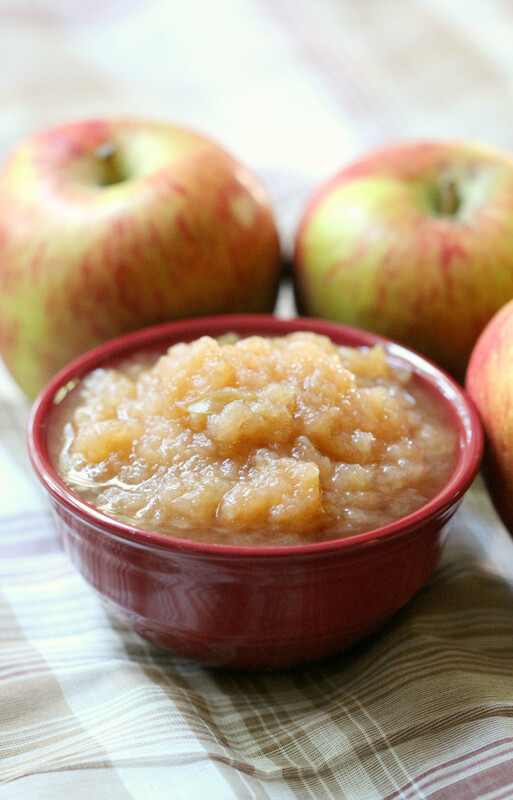 This homemade applesauce is made in the slow cooker, so it’s a cinch to throw together. Image: The View From Great Island. 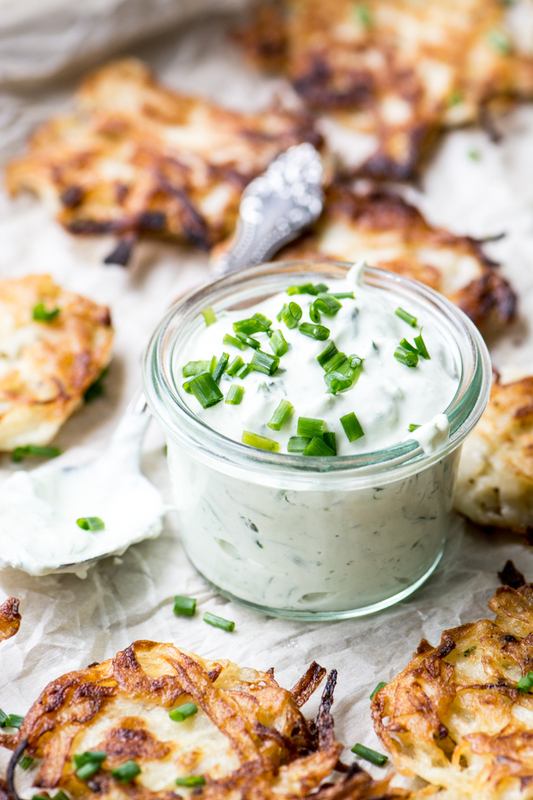 Speaking of sour cream, this chive sour cream is made with horseradish for an extra kick. Dollop it on your latkes liberally. 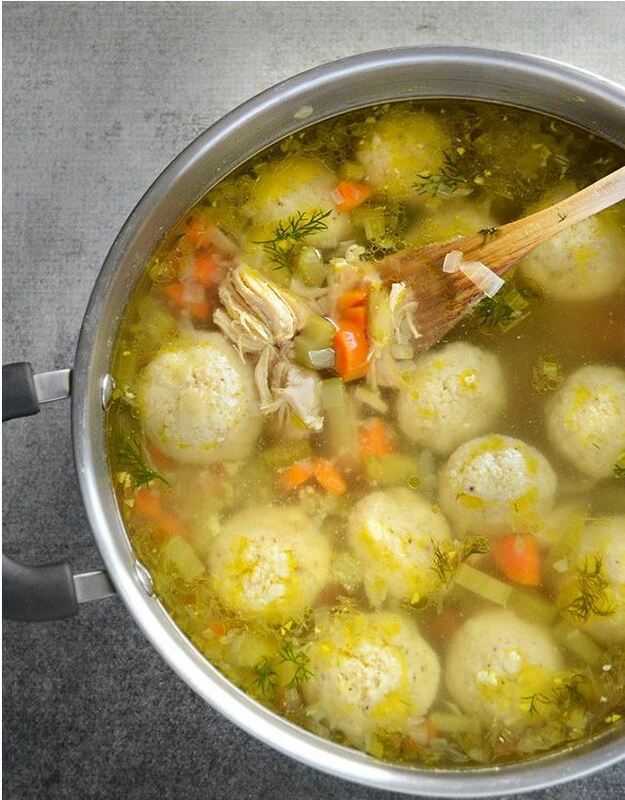 Delight everyone at your Hanukkah bash with a warm, comforting bowl of Jewish penicillin. 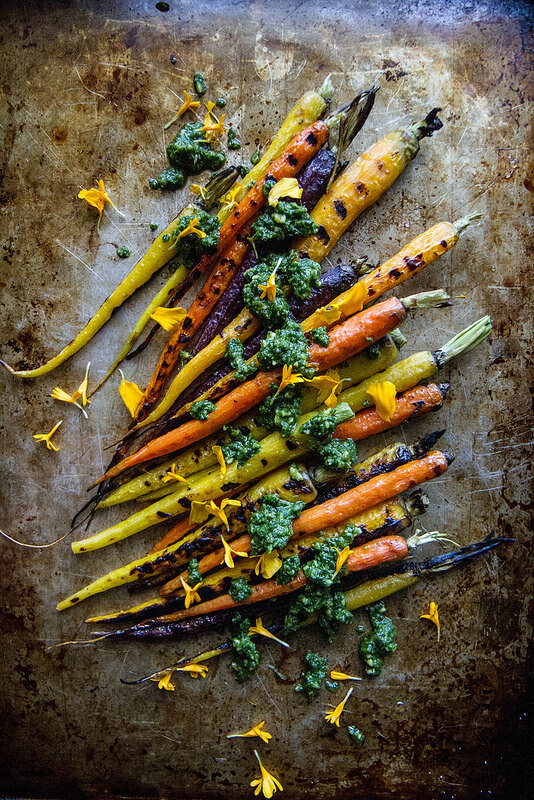 Add some color to your Hanukkah dinner plate with these gorgeous grilled rainbow carrots. 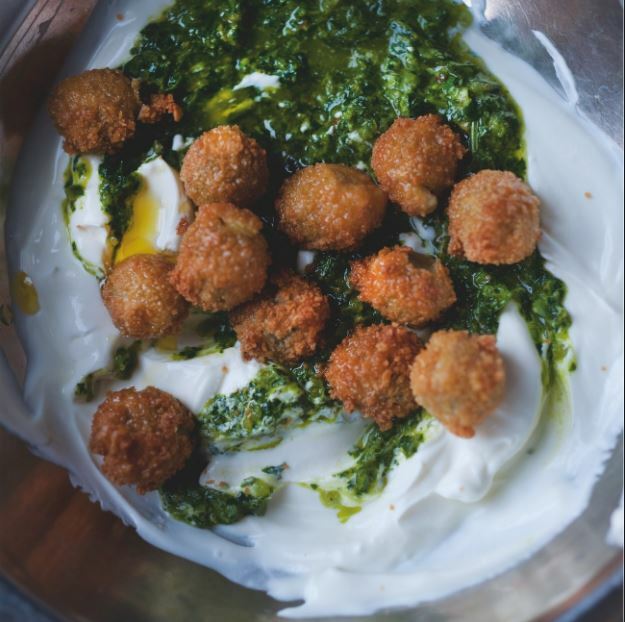 These festive fried olives would make a great appetizer at your Hanukkah party. 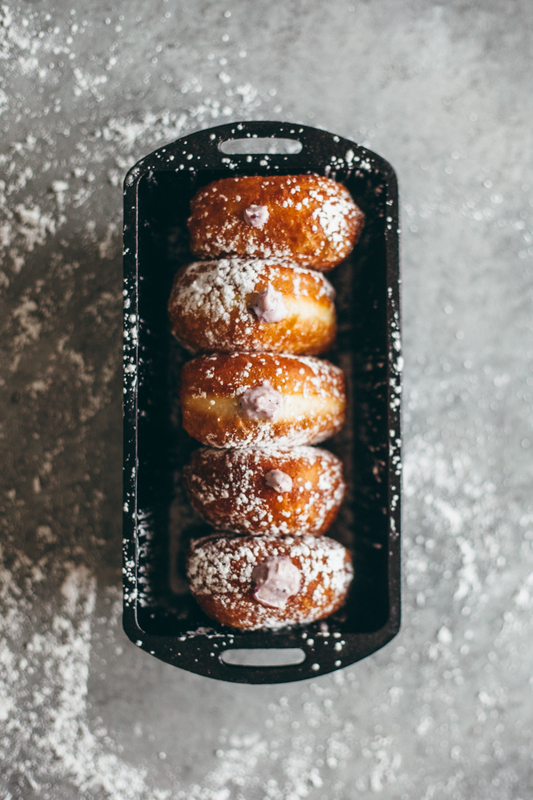 These tasty doughnuts are stuffed with a delightful blueberry jam and cream cheese mixture. Your guests will love ‘em. 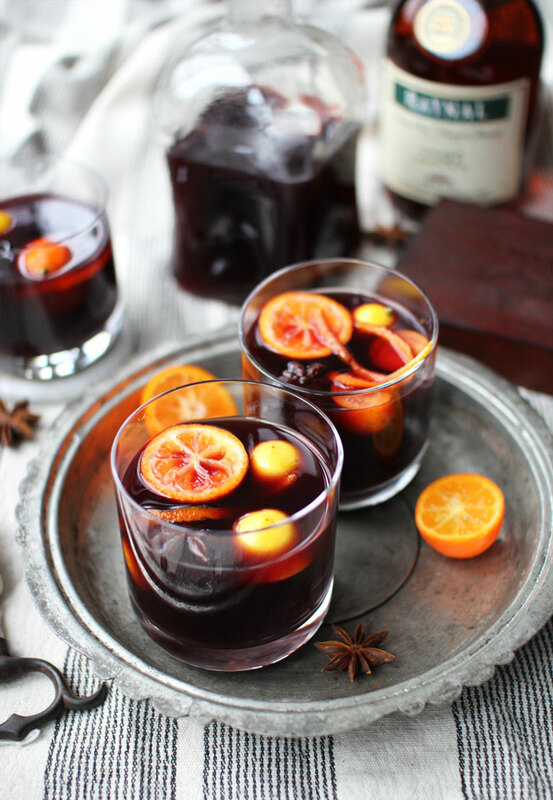 Put that bottle of Manischewitz to good use with this festive mulled wine made with cloves, star anise and citrus. Not into red meat? 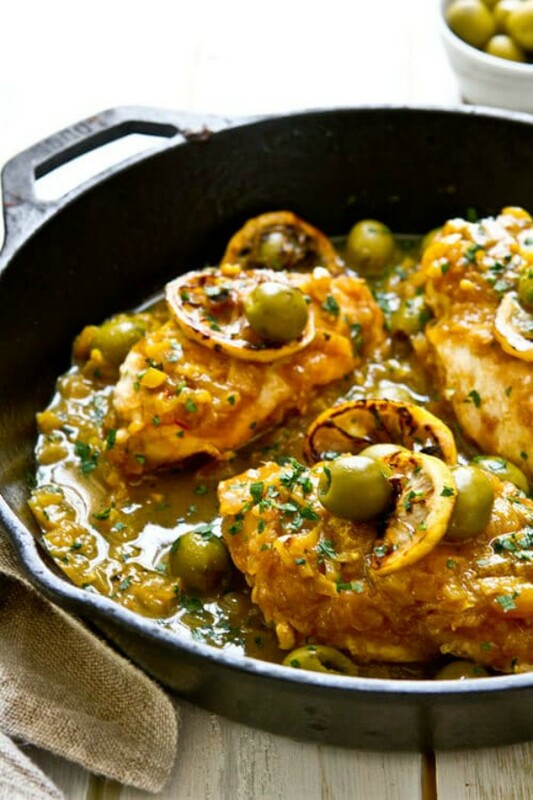 Make this one-pan Moroccan chicken with olives. It goes well with latkes. Image: Eat In My Kitchen. How good do these look? Your guests will adore these chocolaty treats for dessert.